A natural storyteller, Wright brings the geography and culture of the island of Madagascar to life, through anecdotes. Celebrated primatologist Dr. Patricia Chapple Wright returns with part 2 of her heartening memoirs. The owl monkeys that changed her life’s direction in High Moon over the Amazon: My Quest to Understand the Monkeys of the Night have been succeeded by leaping lemurs of all stripes. 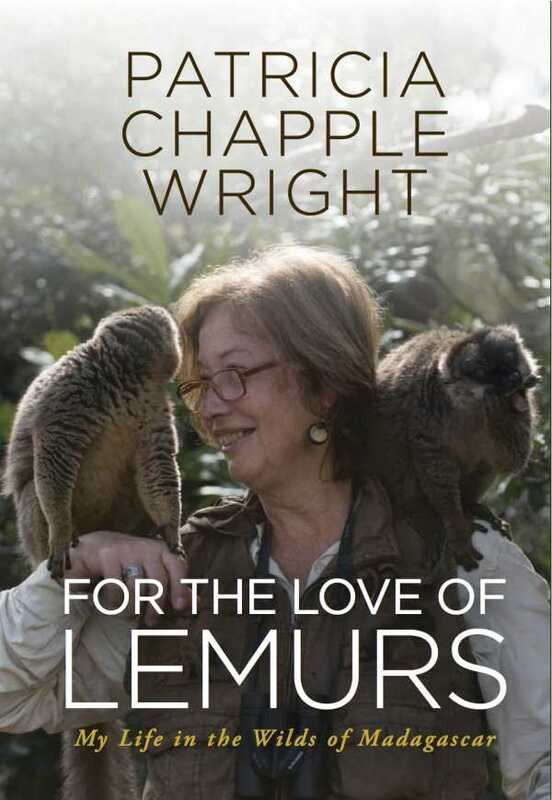 With For the Love of Lemurs: My Life in the Wilds of Madagascar, Wright takes us on the mother of all field trips, deep into the Madagascar rain forests, where she starts out looking for evidence of a possibly extinct species and ends up advocating for the protection of an entire ecosystem. Wright’s initial mission, at the behest of her employers at the Duke University Primate Center, is to find evidence of the greater bamboo lemur, which hasn’t been spotted in decades. She wastes no time in getting started and sets the lively tone of her journey in the first few pages by quickly whisking us off to Madagascar. Finding the elusive lemur becomes only a small part of Wright’s activities on behalf of the animals, the land, and the people of the island. Though organized chronologically, covering Wright’s work from 1981 to 2008, this is not a dry history of the region but a first-person account of trials and triumphs. When Wright accepts the choice meal offered to her as an honorary elder, for instance—zebu liver, heart, hump, and testes—we learn about the community and Wright’s boundless respect for the culture. When Wright’s daughter, Amanda, interacts with a lemur called Pale Male at an intimate distance of only one meter, we witness the exhilaration that can follow the hours of mind-numbing tracking and watching that the scientific team endures. Wright’s work ultimately led to the establishment of the Madagascar Ranomafama National Park, which spared 160 square miles of rain forest from being cut. For the Love of Lemurs offers an honest and hopeful example of how scientists, governments, and regular people can join together to make a real difference for the planet and all of its inhabitants.